8.5 oz. 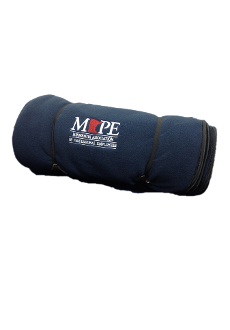 anti-pill poly microfleece blanket with black bias trim on the edges, ultra suede patches for a classier look, and elastic straps for easy packing and carrying. 54" X 60". American made, Union embroidered.